Jim is a brilliant raconteur whose stories get taller with each glass of whisky. His daughter Sam thinks it’s time she found out the truth about her dad. On holiday in Orkney, Sam spies on Jim as he travels across the island. What has he hidden in the abandoned watchtower? Who is he meeting in the stone circle at dusk? And why is he suddenly obsessed with Norse myths? As Sam is drawn into Jim’s shadowy world, she begins to realise that pursuing the truth is not as simple as it seems. 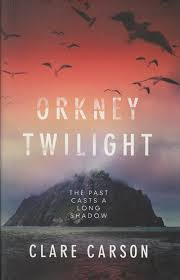 I heard Clare Carson speaking at a crime event earlier this year, and at last have read her debut thriller, Orkney Twilight and what a rare treat it was. From the outset I found myself completely involved in the unique father-daughter relationship between the shadowy and almost unknowable Jim and the feisty and sharp witted Sam. I loved the way that Carson explores their relationship throughout the book, as their paths of trust and mutual empathy converge and diverge, as the secrets that Jim carries, in his work as an undercover police officer, begin to impact on Sam, as she seeks to discover more about her father. The interactions and dialogue that Carson conjures around them is made all the more powerful by the invisible gaps that have appeared through long periods of estrangement, and there is a real sense of two people so utterly alike behaving as if the opposite was true. I was utterly entranced from start to finish, not only by the strength of the characterisation, with a relatively small cast of protagonists, and the engaging plot, but by the lyrical quality of the prose, underscored by the allusions to Norse myth and Scottish folklore and the beautiful realisation of location throughout. There is a subtle claustrophobia woven into the book, not only in the realms of human understanding, but played out cleverly at odds under the large skies of the Scottish isles that hold sway over much of the action. Outstanding. Oslo, 1968. Ambitious young detective Inspector Kolbjørn Kristiansen is called to an apartment block, where a man has been found murdered. The victim, Harald Olesen, was a legendary hero of the Resistance during the Nazi occupation and at first it is difficult to imagine who could have wanted him dead. But as Detective Inspector Kolbjørn Kristiansen (known as K2) begins to investigate, it seems clear that the murderer could only be one of Olesen’s fellow tenants in the building. 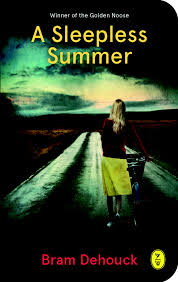 Soon, with the help of Patricia – a brilliant young woman confined to a wheelchair following a terrible accident – K2 will begin to untangle the web of lies surrounding Olesen’s neighbours; each of whom, it seems, had their own reasons for wanting Olesen dead. Their interviews, together with new and perplexing clues, will lead K2 and Patricia to dark events that took place during the Second World War. Again, I’m a little late to the party with this one, but having already purchased the next two in the series, Satellite People and The Catalyst Killing, shortly after finishing this, you can tell I was impressed. With a more than obvious nod to the heyday of the Golden Age, Lahlum has cooked up a wonderful blend of Christie-esque plotting, with a traditional locked room mystery. 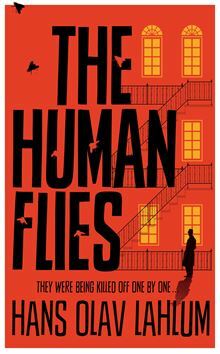 With the action centred on an Oslo apartment block with its finite number of inhabitants, Lahlum carefully constructs a tale of secrets, lies and totally captures the whole notion of the sins of the past resonating in the present. As each inhabitants true character and devilish motivations for murder come to the fore in the course of the investigation, Lahlum invites us to play detective along with K2 to uncover a murderer. The writing is crisp, playful at times, and exceedingly dark at others. Although I did guess the killer relatively early on in the book, I did enjoy the little twists in the narrative which did make me doubt the cleverness of my own deductions, and with the formidable duo of keen detective, and his wonderfully barbed relationship with the spiky, but keenly intelligent Patricia was a joy to read. Excellent. Lisbeth Salander and Mikael Blomkvist have not been in touch for some time. Then Blomkvist is contacted by renowned Swedish scientist Professor Balder. Warned that his life is in danger, but more concerned for his son’s well-being, Balder wants Millennium to publish his story – and it is a terrifying one. More interesting to Blomkvist than Balder’s world-leading advances in Artificial Intelligence, is his connection with a certain female superhacker. 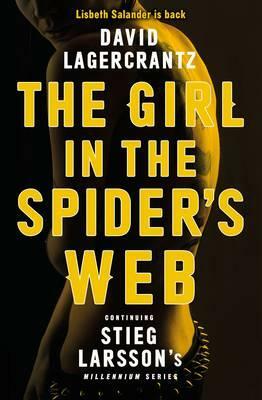 It seems that Salander, like Balder, is a target of ruthless cyber gangsters – and a violent criminal conspiracy that will very soon bring terror to the snowbound streets of Stockholm, to the Millennium team, and to Blomkvist and Salander themselves. Regular visitors to my blog have probably noticed my reticence to review more of the widely hyped and talked about books of the year, and such was the case with this book on its release. With a torrent of global reviews, and probably the most talked about book of the year, resurrecting the ghost of the marvellous Stieg Larsson, I will just add a little note on my experience of the book. As the start of a proposed trilogy, and the brilliant premise of keeping Lisbeth and Mikael away from each other as long as possible in the course of the book, Lagercrantz truly grabbed the bull by the horns in seeking to emulate Larsson’s writing style. I was very convinced by it, and felt he really captured the flow and narrative style of one of the most compelling and much loved crime thriller trilogies that Europe has produced. I thought the author captured the nuances of character, socio-political concerns and pure narrative tension so resonant of the original books. There were some nice little allusions to previous events, and the quirks in the relationship between Lisbeth and Mikael that we are so familiar with throughout. The plot was well-crafted, intelligent and exposed some hidden aspects of the scientific and social media worlds in a thought provoking and highly interesting way, whilst never losing sight of keeping the continuity and feel of the original books. Highly recommended. Seasons come and go in provincial Blaashoek, where the town’s superficial harmony is upended by the arrival of a wind park – a blessing for some, a curse for others. The irritating hum of the turbines keeps butcher Herman Bracke, known far and wide for his delicious ‘summer paté’, awake at night. He falls prey to a deadly fatigue and gradually loses control over his work, setting off a series of blood-curdling events, with fatal consequences for the townspeople. Life in Blaashoek will never be the same again. Now it’s time for one of my weird and wonderful discoveries in the world of bijou but perfect European crime thrillers. Winner of the Golden Noose and the Knack Hercule Poirot Readers’ Prize, this is a twisted little tale of country folk in the small community of Blaashoek. An early warning should be given that despite its brevity this is not a read for the faint of heart or the weak of stomach! It’s bloody, blunt, scatological in detail, and near the knuckle, but with a charming echo of the style and black humour of my much beloved Pascal Garnier, I couldn’t resist it (albeit with some squirming in my seat whilst reading). The characters are perversely charming, but brutally despatched at regular intervals, and I loved Dehouck’s construction of this small community with its petty jealousies, suspicions and the dark events that ensue as modern technology encroaches on their closed lives. It’s like the blackest version of Midsomer Murders you could possibly imagine, infused with the dark, psychological tinge of the finest Scandinavian crime fiction, and I loved it. Yes I did. Loved it. A plane crashes in the Arizona desert. One lone figure emerges alive from the wreckage. He has no memory of his past, and no idea of his future. He only knows he must save a man. But how do you save someone who is already dead? I am now going to admit to a serious, but entirely flattering from of blog envy. 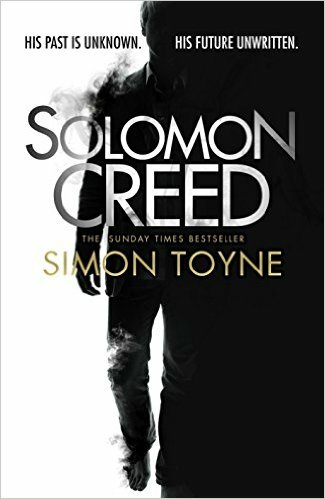 On its release many of us participated in the blog tour for Solomon Creed, with a series of interviews, guest posts by Mr Toyne as well as a plethora of reviews. Having posted a guest article as part of the tour, I was more than ready to commit my own views on the book to screen, but then I read this review by Matt at Readerdad.co.uk Not only is this one of my favourite reviews by a fellow blogger it’s been my pleasure to read this year, but it also so closely mirrors my own thoughts on the book, that it seems foolish to submit a pretty identical review! Like Matt, I was totally swept up in the location of the book, the unerring mystery surrounding the enigmatic central character of Solomon himself, and held in thrall by Toyne’s interweaving of religious precepts and the feel of the book as a reworking of Solomon as an ‘everyman’ fused with medieval quest, that so powerfully defines the canon of English literature. It is a masterful and intelligent thriller, with slight echoes of Stephen King and Lee Child, but still set apart from these and others that populate the current thriller market that you are in for a treat. Hats off to Mr Toyne once again and take a bow sir…. Lots of good stuff there. The Dehouck in particular sounds fun.